Thursday – Neal, Jerry and I (John) agreed to meet early in the morning. 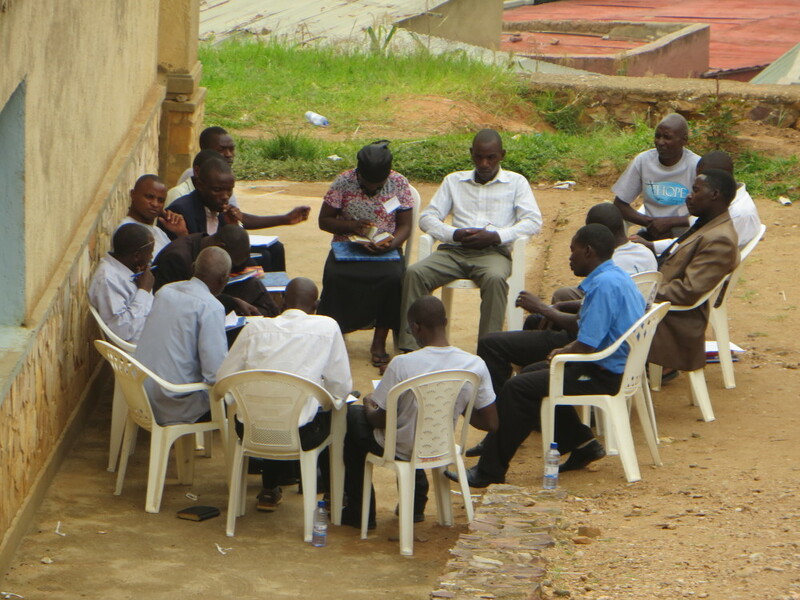 Yesterday, we started the new topic – how to help these pastors build up their churches. The plans for today were not solidified – at best. We did hear that their buildings were bad, people poor and without instruments it is hard to attract the young. We did not know what to expect as we opened the can – working to help them develop plans for building the kingdom. We left the house with a game plan. Start with a debrief of the assignments from last night and then challenge them to do more with what God has given them, using the Parable of the Talents to challenge them to a higher level of leadership in working with what they have. Then, once they had defined their current reality if you will, evaluate it in light of the five tasks of the church from Acts 2: Worship, Discipleship, Fellowship, Evangelism and Ministry. Their late afternoon assignment was to evaluate their structure in light of those tasks, seeking ways they can be more effective. We will see what happens. Like most Army battles, the plan did not survive the first encounter…. 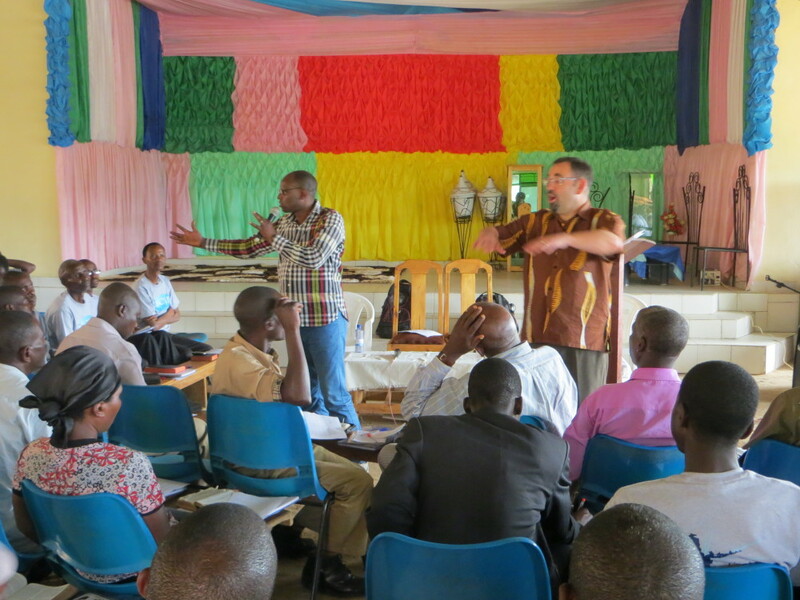 We had asked the pastors to gather in small groups during the evening to answer the following question: which would you choose – a really good building in a poor area or a poor building in a really good area? And why? We would like the poor building in the good location. If you are near the roads and market, you can bring in people, raise money and improve the building. We would like the good building in the poor location. All people need to be saved. The good building can be used to build up the community. It is like a mission field. The answers were good, but the key was they focused on why they made the decision – either answer could be right but it depended on the reasons why. But some refused to answer, taking the “spiritual” root: I am just going to trust God’s promises”, or “be a godly leader”. They skirted the first task of good leadership…making a decision. And the challenge was on! We then moved to asking the different regions to explain what their current organizations were like. It turned out to be much more hierarchical than we had imagined. I challenged them with the Parable of the Talents to up their leadership and not bury the opportunity in the ground. And to seek the challenge in the five tasks, taking whatever steps they can to be better for Christ. As we had asked, God was with us every step of the way – nothing we planned could have made this teaching run so smoothly or generate such enthusiasm. Everyone was engaged in the task of identifying strengths, what resources could be shared, how we can empower the parishioners. There was a palpable excitement in the air. We can’t wait to hear what they have come up with as they worked on it by regions. Therefore, it felt very satisfying driving to the market. Jerry picked up a Rwandan shirt he had made and loved it. He then bought some many necklaces that they gave him the wholesale rate. Then the impulse buy: a gorilla walking staff. To stretch our legs we walked home from the market, – passing some crazy unfinished buildings and the local prison along the 1.5 mile route. It felt great to feel safe, and it is always good to walk among the people. Team B departs today, already safe in their seats on the first leg of their long journey. As always your prayers are coveted. Pastor Neal even talks with his hands. Local pastors hard at work. Wow. This day sounded exciting. Maybe we can motivate some of our people at Hope to do this. Prayers are with you and the travelers. The relevance of Scripture being applied to every culture for growth of God’s Kingdom never ceases to amaze me. I am thanking God along with you for how He is using His Word to accomplish His purposes in your teaching, training and challenging these pastors’ thinking. It sounds like you had some intense moments and God carried you through. Looking forward to reading more. Praise God.